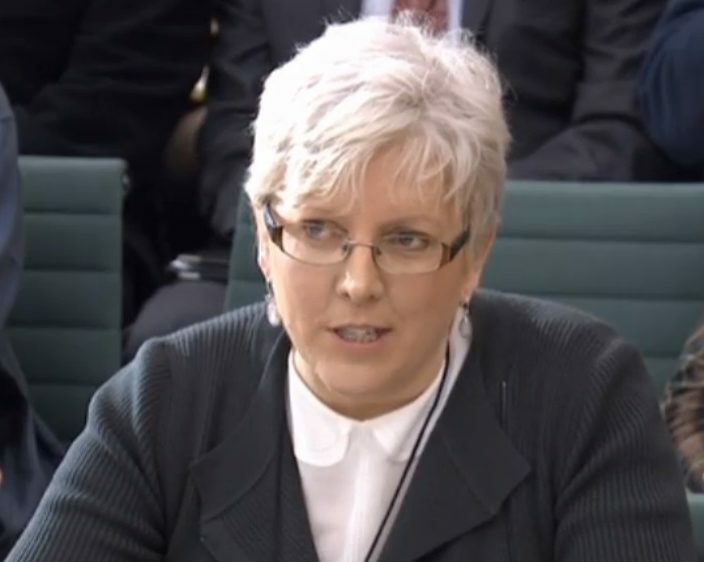 An emotional but defiant Carrie Gracie told MPs today that the BBC’s unwillingness to acknowledge its “equal pay problem” has forced it to “belittle” contributions by women for decades. Giving evidence to the Digital, Culture, Media and Sport Select Committee, the BBC’s former China editor – who resigned this month over equal pay – took aim at BBC management. 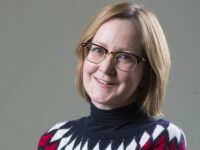 She said she had settled her pay grievance with the BBC last week and had been told that its failure to pay her in line with other male international editors since April 2017 had been “inadvertent”. She said she was offered back pay of close to £100,000 covering her four years as China editor since 2013, but was also told she had been considered “in development” for her first three years as explanation for her low pay. “It is an insult to add to the original injury,” Gracie told MPs. She said management notes from her grievance hearing with the BBC were an “absolutely disgraceful nine pages of error and spin” that made for her “worst day at the BBC” in her 30-year career. At several moments during her evidence Gracie appeared visibly emotional and at times struggled to hold back tears. She said the BBC could not accept that it had an equal pay problem and would not admit it because it did not want to “confront fiscal liabilities” – namely back pay for those found to have been discriminated against – although Gracie said she did not herself want more money. At one point, Gracie held up a stack of paper which she said contained 500 emails from members of the public in support of her work as China editor and her stance on equal pay as well as 300 emails from members of staff also supporting her. Gracie revealed that she had spent more than 200 days in China last year and refuted claims that she was “part-time” and had done only 100 days in the country. She added: “Over several years on the News Channel I began to realise there was an issue with equal pay. I didn’t do anything about it – I was a single parent, my daughter had had leukaemia and I had had breast cancer twice. 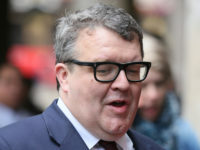 National Union of Journalists general secretary Michelle Stanistreet, also giving evidence to MPs, added: “The use of language is making the problem worse. Referring to ‘inadvertent’ errors of underpaying people or talking about there’s no evidence that decisions were taken to discriminate. Gracie, who is now working in the UK newsroom and has done stints on the Today programme, said that equal pay was set to be a big story this year as firms are forced to reveal their gender pay under new legislation. But she raised concerns over the BBC’s ability to fairly report on this issue given its current stance in relation to its own staff. She said: “We aren’t in the business of producing toothpaste or tyres at the BBC. Our business is truth. We can’t operate without the truth. If we aren’t prepares to look at ourselves honestly, how can we be trusted to look at anything else in our reporting honestly? Following Gracie’s open resignation letter at the start of the year, some BBC journalists, mostly women, were taken off the air and stopped from presenting the issue if they had taken a public stance on equal pay. The order was understood to have been made by director of news Fran Unsworth under the BBC’s strict impartiality guidelines and effectively resulted in gagging BBC women from talking about it. John Humphrys was also caught joking about equal pay with North American editor Jon Sopel while the pair were mic’d up but off-air, which Humprhys dismissed as “banter”. She added: “It makes me angry, it makes me disappointed, it makes me desperately anxious about the future of the BBC. If we aren’t truth-tellers who are we? We are no better than the next news source. Stanistreet said the BBC’s report on on-air talent salaries published yesterday “did not reflect reality”. She warned that the BBC was “stumbling towards a Greek tragedy” in its handling of the growing crisis over equal pay. “They need to stop now, pull up and trust the staff to handle this responsibly,” she added. Asked what should be done to rebuild the BBC while preserving its reputation, Gracie answered: “If we can just realign ourselves around the truth, I think – I’m guessing – the reason the BBC is finding it so hard to acknowledge the equality problem they have is because of the fiscal risk. “But I think they will find that the more they commit to building a better future, the more people will be able to forgive some aspects of the past and the fiscal risk will diminish if they build that better future. She added: “Management can’t sort this out. I honestly think trust the staff, we are responsible people. We are incredibly loyal to the organisation. Some people will insist on enforcing their rights to back pay, but some like me won’t. People are in a different place on it. Taking aim at BBC director general Tony Hall, Gracie said she had spoken to him before to ask for “transparency and a proper response to equal pay” and said she had thought it “unacceptable” that he had complained about making the on-air talent salary disclosures last summer. “Without them I and many women up and down the BBC would have gone to our graves ignorant of our personal pay gap,” she said. “Many women still are ignorant of their personal pay gap unless he provides them with transparency. I want full transparency. I told him you have to show courage, you have to show leadership on this issue, you have to be brave. Lord Hall, who followed Gracie in today’s hearing, praised her as an “absolutely first rate editor” who has “done first rate work for the BBC” while she sat with the public behind him. Lord Hall said he felt “very strongly” about wanting to “fix” equality at the BBC, “particularly with women” and repeated the corporation’s aim to have 50/50 men and women on-air by 2020 “or earlier” across the board. “Where I think Carrie and I would disagree is that I think there is a hierarchy within a [pay] band which has been far too big… there needs to be a range in there. “We will not discriminate on gender between anybody to do with whatever they are going to do, but there are differences in the work, the amount of work, the nature of the work between, say, North America and China. He said the BBC had been failed to be clear in the past about what on-air talent are paid and why, adding this “has to be absolutely transparent”. “The bands are too big and we need to be upfront with people about why they sit where they do,” he said. Along with the on-air pay review, published yesterday, the BBC announced a five-point plan “to help create a fairer and more equal BBC” which included salary cuts for some men and a new framework for on-air salaries.